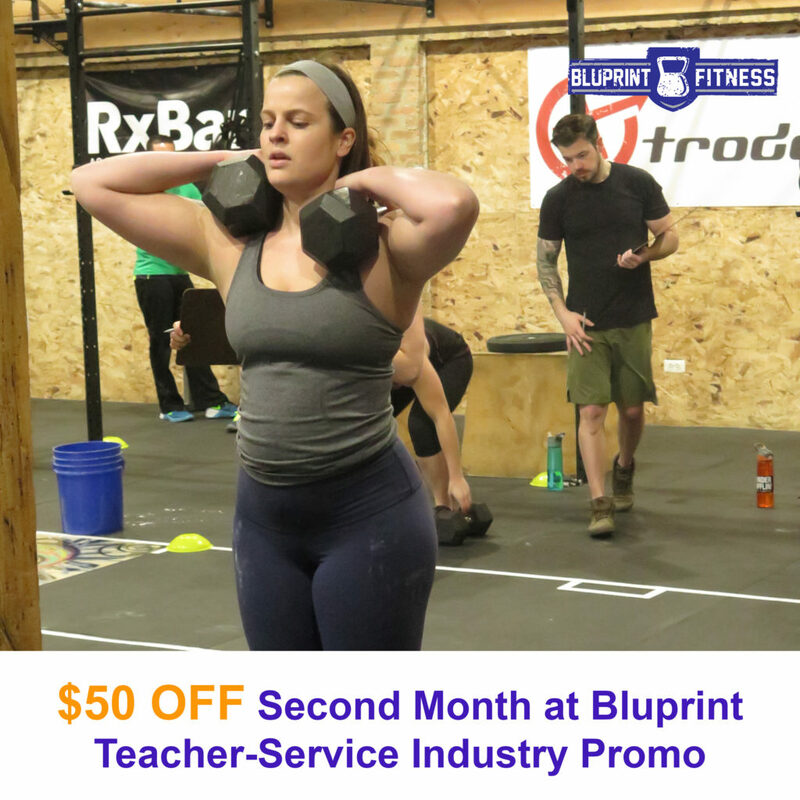 Teachers & Service Industry (Military, Police, Firefighter, EMT) professionals that join in the month of May will receive $50 off their second month at Bluprint Fitness. First 5 to sign up before May 10th will also receive a $50 Bluprint Gift Card to give to a person of choice. Email [email protected] or call us at (352) 256-7166 to schedule your initial assessment and begin the transformation process. Offer valid through May 31st for new Bluprint athletes.